Watch from Men brand JAGUAR. ROSE GOLD PLATED STEEL CASE. STRAP OF LEATHER. SAPPHIRE CRYSTAL. 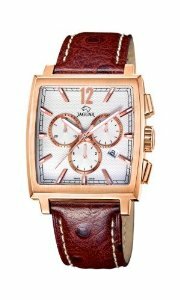 CHRONOGRAPH. CALENDAR AT 4 O'WATCH. SUBMERSIBLE 5 ATM.